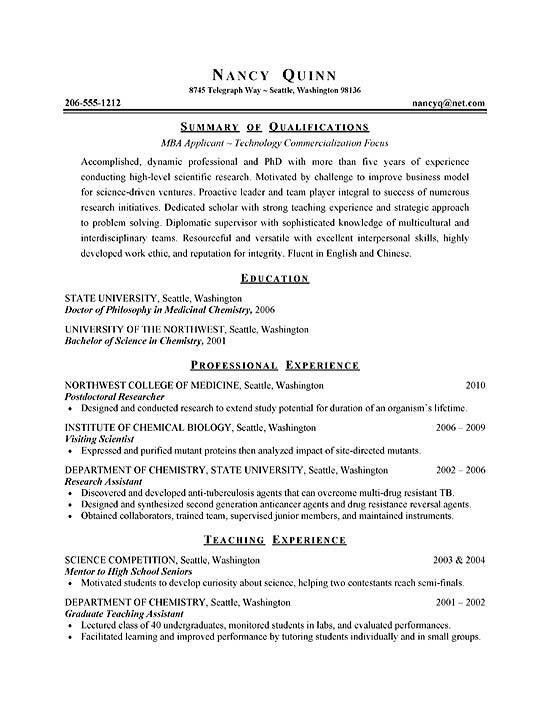 This page has includes a graduate student resume example for a Ph.D. graduate with experience as a professional researcher. The document is a good resource for anyone with a masters or doctorate level education looking for a new job position. 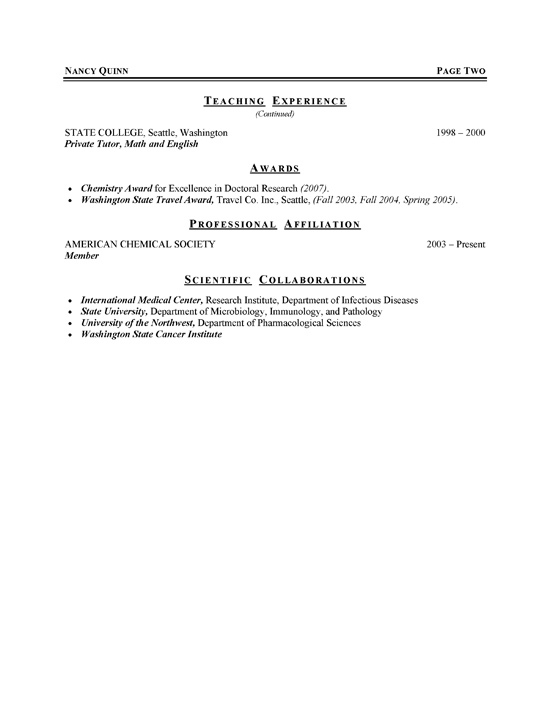 This resume utilizes a summary paragraph that highlights experience in scientific research, and teaching. Additional qualifications include: leadership, strategic problem solving, strong work ethic, chemical biology and philosophy. The education section documents the Ph.D. in Philosophy and B.S. in Chemistry. The experience section describes duties and responsibilities in several job positions including Postdoctoral Researcher, Visiting Scientist and Research Assistant. The job seeker also separates the functional experience in teaching at the bottom.